XHEKPON GEL , vectem s.a. High-quality bath and shower gel for skin and hair. 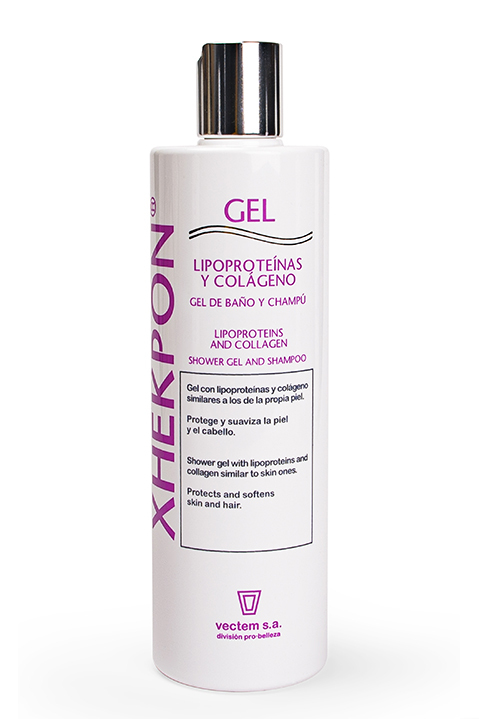 The gentle foaming action of lipoproteins is well tolerated by the skin. Collagen is an anti-irritant and protective agent. Helps restore skin balance in sensitive areas. Helps fortify skin damaged by the use of unsuitable soaps. Mild on scalp and hair. Soothes and pampers the skin.